Heavy cloud had been slowly encroaching over the farmlands of Perthshire from early afternoon, decreasing the chances of a glorious sunset. 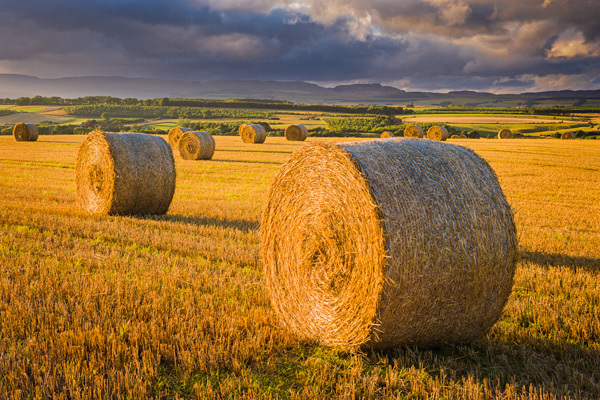 Fortunately, a gap opened allowing the low angled light to stream through, illuminating the hay bales in a golden glow for a few precious minutes. Photo © copyright by Graham Chalmers.